The three most commonly used treatments are surgery, radiation, and chemotherapy. Doctors also may prescribe steroids to reduce the swelling inside the central nervous system. Surgery is the time-honored technique to accomplish several very important objectives. To establish or confirm the diagnosis is the most important initial objective as it drives treatment strategies and gives important prognostic information to the patient and family. Diagnosis can be accomplished through a biopsy, excision (partial removal of the tumor), or resection (total removal of the tumor). Ideally, the tumor can be removed in its entirety and at the same time a diagnosis can be made. Chemotherapy works by taking a medication (usually by vein or mouth) that specifically targets tumor cells and causes their dysfunction or death, while minimally affecting normal cells of the brain. Chemotherapy does not have a role in benign tumors. Radiation therapy is often used alone or as an adjunct to surgery. It can be done either before, or ideally, after the surgery. Radiation works by halting the growth of the rapidly growing tumor cells, while to a lesser extent affecting surrounding normal brain cells. It can be used in both benign and malignant tumor treatment strategies, but is usually associated with side effects. 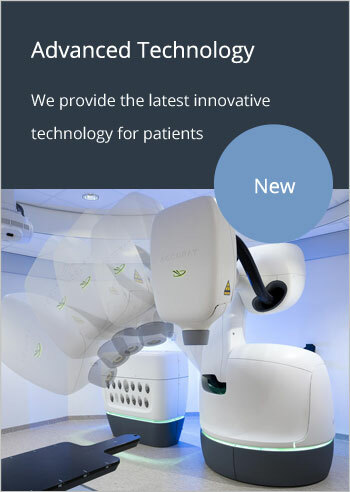 In order to minimize such side effects and precisely deliver radiation to the tumor, neurosurgeons at Boulder Neurosurgical & Spine Associates (BNA) often employ the newest radiosurgical treatment technology called CyberKnife. Symptoms of brain and spinal cord tumors generally develop slowly and worsen over time unless they are treated. The tumor may be classified as benign or malignant and given a numbered score that reflects how malignant it is. This score can help doctors determine how to treat the tumor and predict the likely outcome or prognosis for the patient. Every patient and family wants to know what the prognosis is. Unfortunately, this is highly variable depending on many different factors, most importantly – the diagnosis (what type of tumor it is), patient’s overall health and if the tumor has spread. Prognosis can range from several weeks to several years to live a full lifetime with the tumor (and ultimately dying from other causes!). Accurate statistics for the frequency and outcome of brain tumors are not available, and those that are available are often quite variable. It is estimated that the incidence rate of all brain and central nervous system tumors is 16.5 cases per 100,000 persons per year. An estimated 51,410 new cases of brain and central nervous system tumors were expected to be diagnosed in the United States in 2007 (Central Brain Tumor Registry of the United States). The five-year relative survival rate following diagnosis of a primary malignant brain and central nervous system tumor is 28.8% for males and 31.6% for females (1973–2004 data). The various types of brain tumors occur with different frequency in children and in adults. The most common childhood tumors are: astrocytoma, medulloblastoma, and ependymoma. The most common types of adult tumors are: metastatic tumors from the lung, breast and melanoma, glioblastoma multiforme, anaplastic astrocytoma, and meningioma. Physicians at Boulder Neurosurgical & Spine Associates have initiated a multicenter clinical study in collaboration with medical centers from Stanford University, Besta Neurological Institute in Milan, and Rocky Mountain CyberKnife Center, to evaluate survival and treatment failure patterns following CyberKnife radiosurgery for newly diagnosed and recurrent glioblastoma multiforme (GBM). The results of this study are summarized in a poster and published in Neurosurgical Review. Researchers are also studying brachytherapy (small radioactive pellets implanted directly into the tumor) and advanced drugs and techniques for chemotherapy and radiation therapy. Most of these advanced techniques are used in conjunction with surgery. In experimental gene therapy for brain and spinal cord tumors scientists insert a gene to make tumor cells sensitive to certain drugs, to program the cells to self-destruct, or to instruct the cells to manufacture substances to slow their growth. Scientists are also investigating why some genes become cancer-causing. Since tumors are more sensitive to heat than normal tissue, research scientists are testing hyperthermia as a treatment by placing special heat-producing antennae into the tumor region after the surgery. In immunotherapy, scientists are looking for ways to duplicate or enhance the body’s immune response to fight against brain and spinal cord cancer. Most of these novel techniques could involve into new revolutionary treatments in the nearest future, but currently the traditional therapies – surgery, radiation and chemotherapy – are the only time-proven treatment methods.